When in Palma, you’ll be in the capital city of the Balearic Islands. Here a wide cultural program, a buzzing nightlife, a beautiful old town and the proximity to the sea create a unique atmosphere. And if you’re thinking about having a nice meal with sea-views, we’re ready to give you our advice on what places to put on your foodie-map. Mar de Nudos is a seafront restaurant located at Palma’s ‘Moll Vell’, the waterfront boulevard gathering restaurants and bars that’s become known as the extension to the golden mile, at the end of Paseo del Borne. The winning combination at Mar de Nudos is the rare, but extraordinary combination of Mediterranean and Japanese cuisine. Both concepts combine on an attractive menu offered to guests who want to come for lunch or dinner. 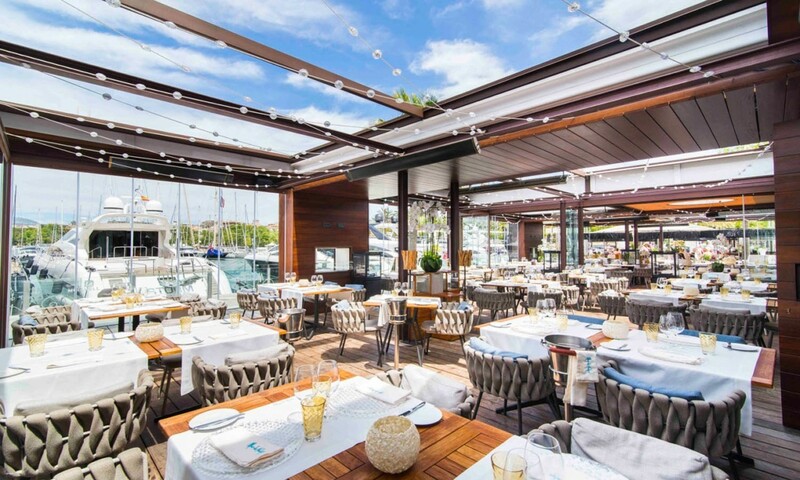 The sea from a whole different perspective is what you’ll be enjoying at Bahía Mediterráneo, a new addition to Palma’s dining scene. 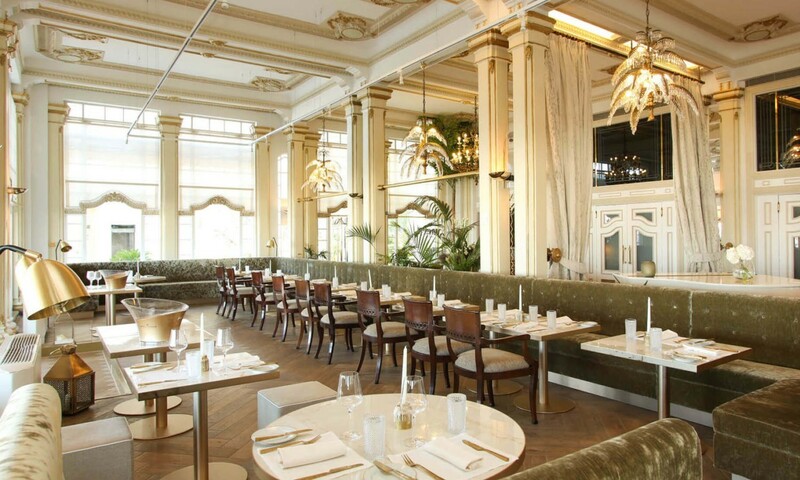 Klaus Brunmayr is the head-chef at this newly renovated space at Plaza Mediterráneo. 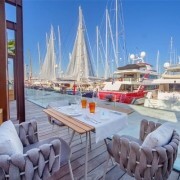 This restaurant also works as a bar and disco, which is why we could recommend trying it for dinner before having some nice drinks overlooking Palma’s bay! 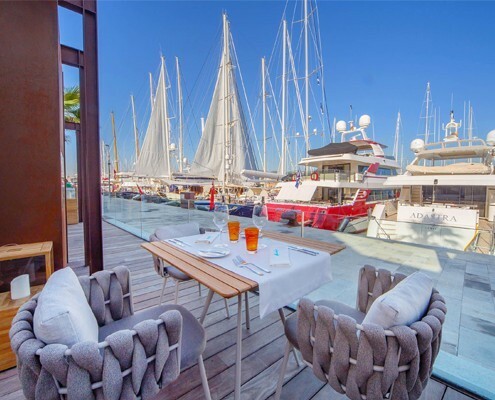 As part of the ‘Tast’ group, El Náutico is located at Palma’s nautical club terrace, offering impressive views of the sea, the Bellver castle and the Cathedral. With the word ‘Mediterranean’ written all over its menu and décor, it’s a lovely place to enjoy a long lunch with family or friends. If you’re looking for a nice place to have some tapas while soaking up the views over the Mediterranean, you’ll be right at El Pesquero. 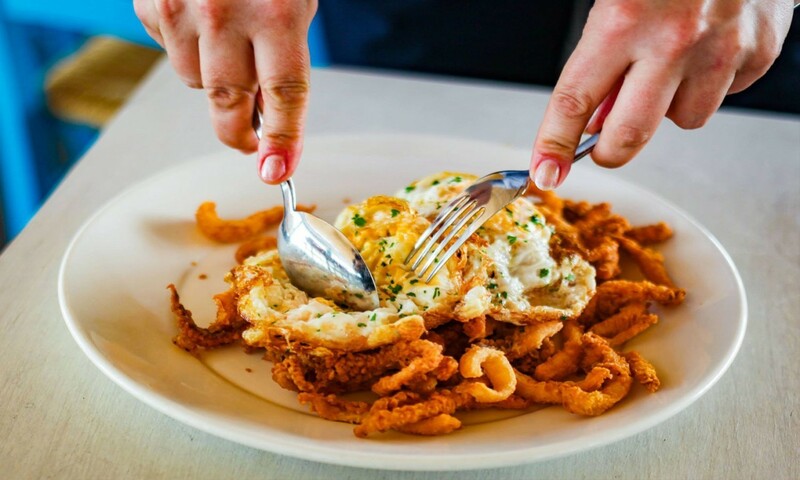 Located steps away from La Lonja’s gothic buildings, El Pesquero is a waterfront restaurant offering fresh seafood, tapas and a daily lunch menu.